APSARA notifies that they are completing the new draft law which has been built for 2 years to apply for tourists visiting this historic site. According to Mr. Sok Sangvar, the head of tourist management of APSARA, in this early June, they will send the draft to experts of International Criminal Court to review the code’s legality. “Basically the code directs to regulations of things that tourists not to do when visiting Angkor Wat like not dressing inappropriately and not touching ancient constructions.” – said Mr. Sok Sangvar. When the process of drafting this new code is coming to the final step, many indecent, illegal actions of some tourists happened as they took “naked” photos inside this sacred, ancient temple site. Following to Mr. Long Kosal, the spokesman of APSARA, when being accomplished, the rule books will able to be distributed to people who work in tourism indusstry. “We will propagate this new law widely to related authorities, departments and organizations, and hand the rule books to tourism workers such as tour guides, travel companies, hotels, etc. We need cooperation from them to achieve good results in enforcement of this law.” Mr. Kosal added. Mr, Sangvar told that APSARA also find all ways to disseminate things must not to do for travelers. The law is mainly about the sustainable development of Angkor. 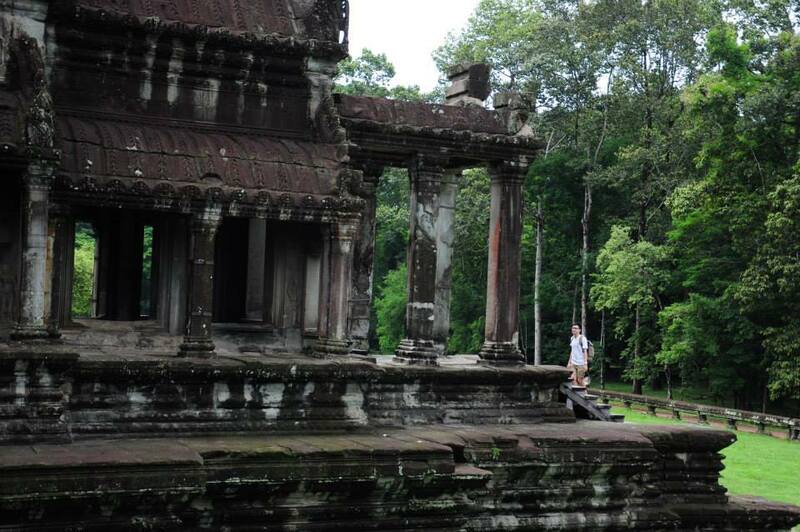 This code will be also executed for other historical sites in Cambodia, but Angkor temple complex is first.